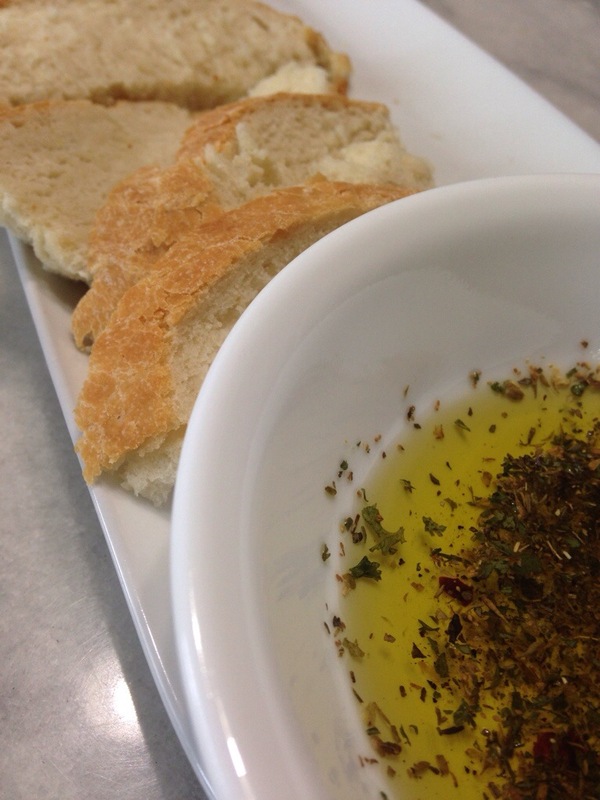 To serve alongside my homemade bread last night, I quickly put together this olive oil and herb dip that is served at several restaurants. I combined garlic powder, [very little amount of] salt, black pepper, crushed red pepper, thyme, basil, oregano and parsley flakes. I also mixed in a little olive oil so the herb mixture would stick together. Add some of it to olive oil and it’s ready to serve/eat.